Established for nearly 40 years, this business is equipped with many time proven, operational systems and procedures which makes it highly efficient for the office manager to operate and support the owner. This is a high growth business, posting record net profits, due to converting a high volume of new client work, consistently. Many of the business clients are high repeat real estates and body corporate management companies. The number of which continues to grow organically. There also being many referred and return client jobs (mainly residential rooves). 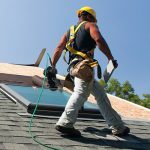 This roofing business is a veritable “money-making machine”! Just look at the financial statements and you’ll understand just how high the return on investment actually is. When a business has nearly 4 decades of trading history, and a high job request rate from clients who are in need of this business’s service and products, it is little wonder that this net income is as large as it is. This operation has become the long term preferred supplier to many throughout the Gold Coast region, renowned for responding time efficiently and providing a team who offers higher quality of workmanship. Due to popularity within the greater Gold Coast region, this has not been a seasonal business. But, storm activity and bad weather only serves to dramatically increase sales. The cashflow is wonderful, with this owner’s major complaint is having to pay too much tax, due to this high net yield! There is requirement for only a low stock holding, and low premise rent. Clients paying within 14 days (on average). Client deposits also secure larger value jobs. This brand is well known and reputed for completing a job well, and fast – turning up when they promise. Business client’s managing a property on behalf of their client get what they want, and fast. Their problem fixed – no fuss, just reliability. This service providing them the reliable convenience of a “one call/email” roofing business. This business’s sales continue to grow, assuming more and more market share, with this percentage already being large. Imagine having hundreds of referring business clients, requiring regularly, requiring no need for active marketing or advertising. There are ample target market areas in which to continue to grow and expand this already highly successful enterprise. 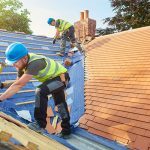 Owner is not a trade qualified roofer, and doesn’t need to be! The prowess of this highly time leveraged and extremely profitable operation makes this a unique and prime investment to enter. Due to this business’s long trading history and well build reputation based upon delivering quality, it can’t help but continue to attract a high volume of inbound phone/email enquiries and new jobs. This supports its sales momentum. Advanced bookings, weeks in advance has become the norm, nearly all year round. There is option to expand into Brisbane & Nth NSW. This business is certainly no slouch in being able to impress, where it counts. Having the infrastructure to simply provide what clients need and when they need it. 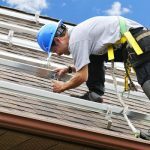 As long as people seek comfort under rooves, you can count on the fact that this business will be needed, and regularly.